What areas outside of Edmonton do you deliver BOTTLED WATER? What time will the driver be delivering? What if I run out of water before my delivery day? What type of plastic are your bottles made of? How often should I clean my cooler? When do I get my bottle deposit refunded? We offer Monashee Spring water, bottled at its source in Valemount BC. Reverse Osmosis and Steam Distilled water are processed here at our facility in Edmonton. Our drivers are scheduled in any your area once every 10-business days. Each customer has their own unique delivery day. 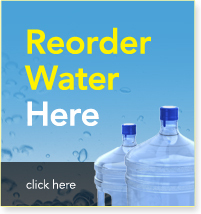 To find out your delivery schedule, please call our office at 780-413-6547 or email accounts@purewaterconnection.ca. Yearly delivery schedules are emailed to customers in December. Our drivers will deliver between 8:00 am until 5:00 pm Monday to Friday. We cannot provide a specific time due to the numerous uncontrollable variables. You can take advantage of our pick up locations or make use of our “off-route” delivery service available for a small additional charge. The plastic water bottles that we use are reusable polycarbonate or Polyethylene terephthalate (BPA Free). How often your cooler needs to be cleaned depends on where it is being used. As a minimum we recommend a cleaning/sanitizing once a year for those customers using reverse osmosis water and six months for spring water. We use and recommend the Biomax Cleaning Kit. Not only is it economical but it is a proven and professional solution to ensure a bacteria free water dispenser. 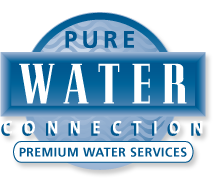 When you start your water service you are charged a refundable deposit of $10.00 per bottle. Deposits are refunded upon return of bottles at completion of service.